Freshman Ida Pountney is starting her first year on the Southerner staff. 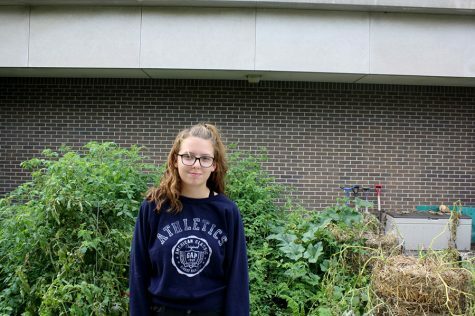 Recommended to her by someone at orientation, Pountney hopes that being on the Southerner staff will help her become a better writer and making her writing more interesting. When this introverted soccer player is not at school you could find her reading a book. Pountney’s favorite genre is Mystery and some of her favorite books are The Book Thief and The Night of Never Letting Go. Pountney is interested in psychology and figuring people out when she is bored in class. In the future Pountney would like to become a child psychologist, she believes it is important for people to talk to someone to get help with depression, anxiety, eating disorders, ect. Pountney travels a lot, her favorite place to travel to is the Rocky Mountains because she loved to rock climb, camp and hang out in the wilderness.